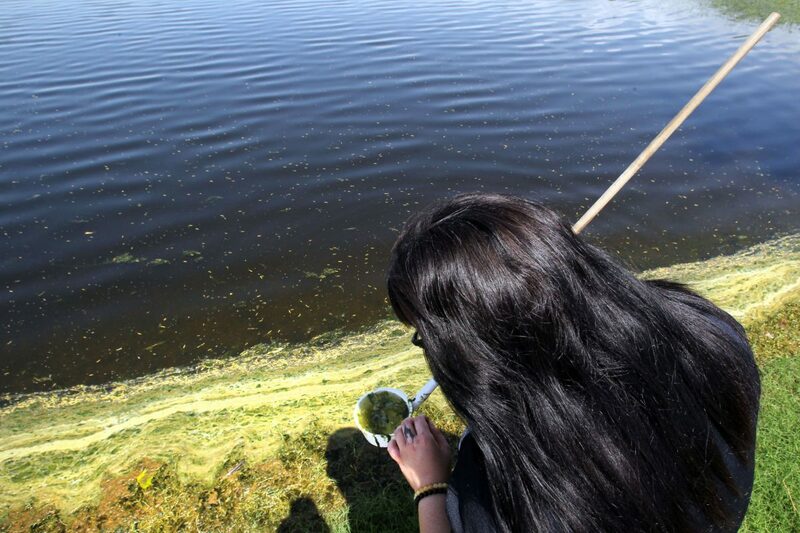 Anitra Champion, a code enforcement officer with the city of McAllen, checks for mosquito larvae in standing water near the McAllen Training Center on Wednesday, July 5, 2018, in McAllen. EDINBURG — Hidalgo County obtained a state waiver that will allow more precinct workers to participate in mosquito fumigation. The county continues to work with surrounding cities to help reduce the threat of Zika and other mosquito-borne illnesses, such as Chikungunya, Dengue and West Nile, after widespread flooding in the area last month. The Rio Grande Valley is home to 26 different types of mosquitoes and three of them carry diseases, Hidalgo County Health Director Eddie Olivarez told county commissioners Tuesday morning. Luis Soto a Code Enforcement officer with the City of McAllen, tosses B.t.i. Briquets in standing water near the McAllen Training Center on Wednesday, July 5, 2018 in McAllen. The briquettes release larvicide for long-term control of mosquitos and psycodid fly larvae. 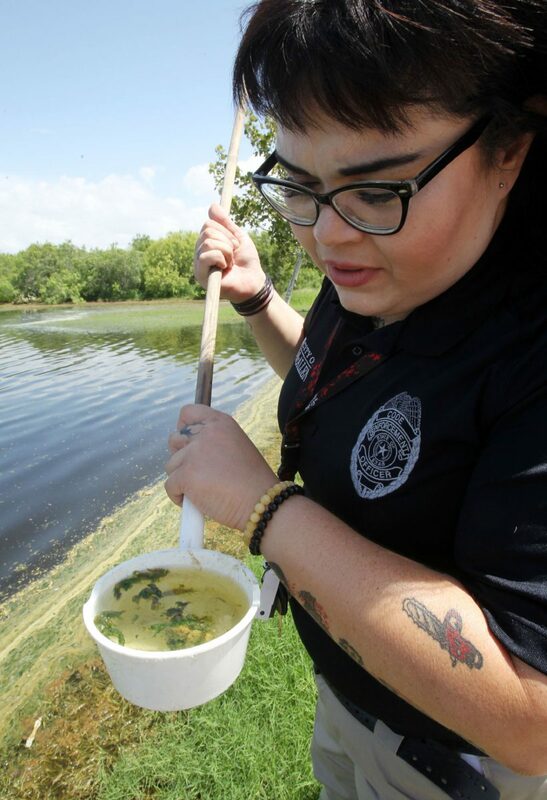 An employee from the Hidalgo County Health and Human Services Department shows mosquitoes collected June 26, 2018 after widespread flooding in the area. The problem is further complicated by a lack of resources from surrounding cities and licensed sprayers. Still, there are some cities, like McAllen, that are active in their efforts. 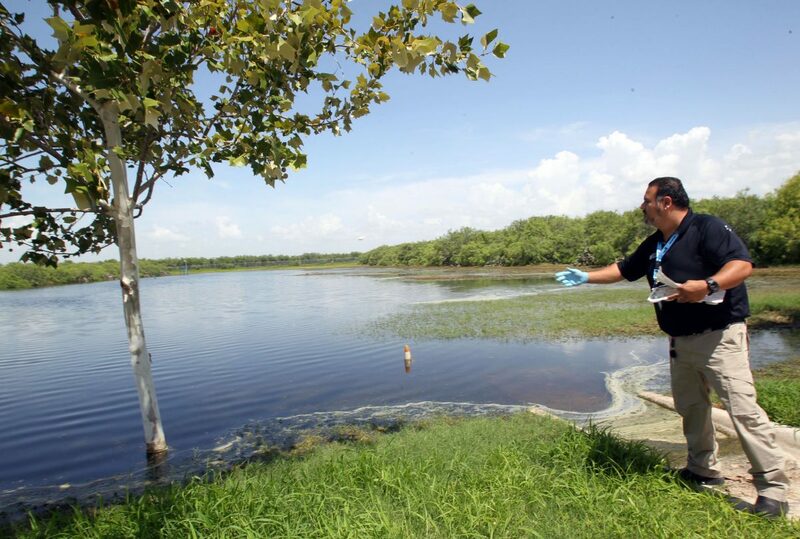 McAllen has already applied larvicide to more than 100 locations of standing or stagnant water since the June rainstorm to eliminate mosquito proliferation by using dipping inspections, said Steven M. Kotsatos, McAllen director of health & Code Enforcement. Sprayers must be licensed by the state of Texas, and in order to obtain the license, employees must take an exam that includes basic math and chemistry. It’s a difficult test that requires studying, but someone with a high-school level education can pass, Olivarez told commissioners court. 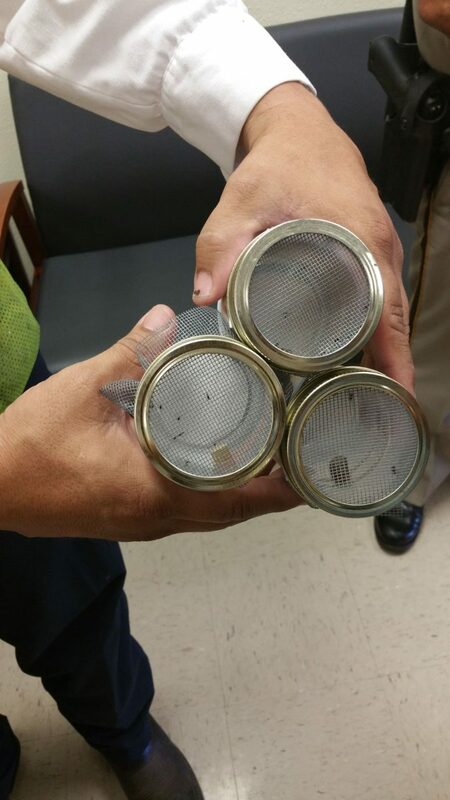 His office has four licensed fumigators that will be teaching other precinct workers how to fumigate beginning Monday as a result of a temporary waiver the county obtained from the Texas Department of Agriculture. The county recently purchased more equipment through a grant it obtained and was in the process of training others to use it. “The precincts are working on getting their teams licensed, but this rainstorm snuck up on us,” Olivarez said. The county has already fumigated 870 miles across the county, and has also asked the state for aerial spraying. The state is still reviewing the request from Hidalgo County and Cameron County. Olivarez said he is keeping a tally of all of the man hours, equipment and supplies used in case the president declares a federal disaster for the area, but he warned that even if the Federal Emergency Management Agency does intervene, there is no guarantee the county will obtain financial assistance for mosquito control.